MAPLE VALLEY, WA.) -- On a September day last year King County Sheriff Deputy Toby Larson ended the pursuit of a suspect who had shot a police officer. It was September 16, 2014 that Duvall Police Sgt. Mike DeBock was shot and wounded during a normal traffic stop by a suspect later identified as Joshua Kramer. After the shooting, the suspect fled in his vehicle. Not long after that Deputy Larson ended the suspect's high-speed pursuit by deploying a "STOP STICK" maneuver that is designed to safely disable a suspect's vehicle. The maneuver forced the suspect vehicle off the highway where he was later captured. 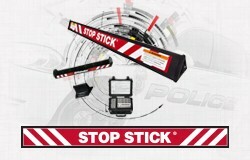 The company that makes the STOP STICK device looked at over 1000 successful deployment reports for the year 2014 and based on the type of offense, success of the deployment, and impact to the community, the committee selected Deputy Larson to receive the company's "Hit Of The Year" award. 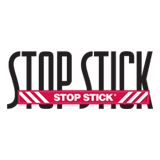 Adam Freeman of Stop Tech, LTD will present the award to Deputy Larson at 1:00 pm this Thursday (tomorrow) in the community room at Precinct 3 located at 22300 SE 231st Street in Maple Valley, WA. 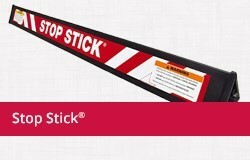 STOP STICK is described as the world's leading tire-deflation device and is used by law enforcement agencies across the nation and around the world to end high-speed automobile pursuits quickly and safely. 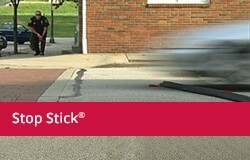 The device is engineered to deflate tires safely, without a blowout. It contains Teflon® coated quills that act as valves, releasing air at a safe, controlled rate. An officer deploys the item by tossing it out onto the road. 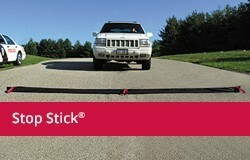 A long cord attached allows the officer to safely position the device from a good distance away from the roadway.